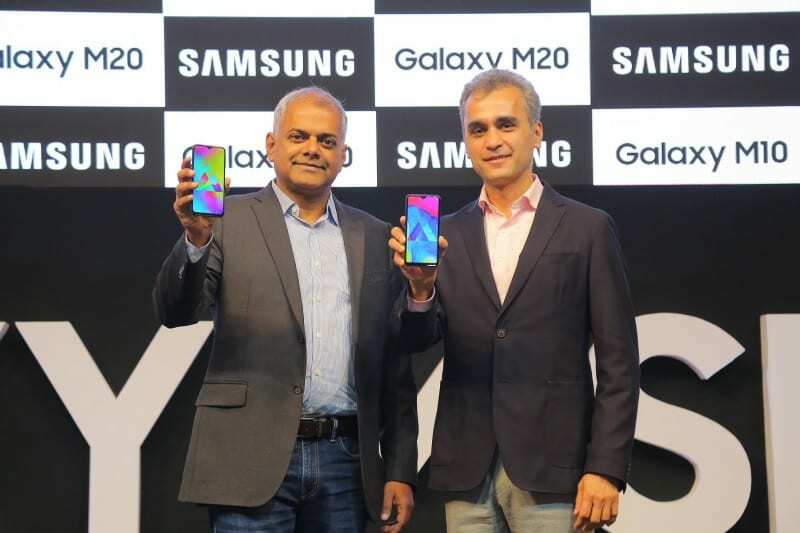 Samsung has announced two new M series smartphone in India today – Samsung Galaxy M10 and Samsung Galaxy M20. 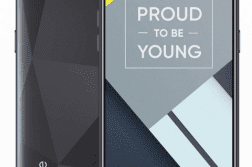 With Chinese smartphone makers like Xiaomi, Realme, and others capturing most of the budget smartphone market share from the past couple of years in India, Samsung had to bring in a new series of smartphones to dominate the market once again and here today they have announced a couple of them. 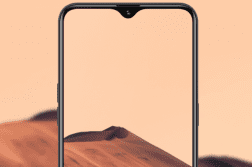 Both the smartphone’s features infinity-V display, which basically a display with a dew-drop notch. 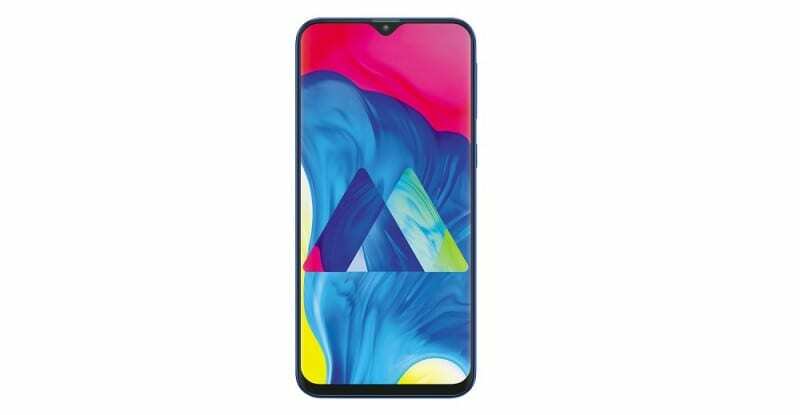 The Samsung Galaxy M10 is the cheaper one among the two and comes with 6.2-inch HD+ (1520 × 720p) infinity-V display, it is powered by an Octa-core in-house Exynos 7870 14mm processor with Mali-G71 GPU. It comes in 2 variants – 2GB RAM with 16GB storage and 3GB RAM with 32GB storage with micro SD card support up to 512GB. The phone is running on Android 8.1 Oreo on top of Samsung Experience 9.5 and packs in a 3430mAH battery. On the camera front, the M10 features a 13MP(f/1.9)+5MP(f/2.2) dual rear camera set-up with LED flash, an ultra-wide mode which lets you capture more expansive photos. At the front, there is a 5MP camera with f/2.0 aperture. This device misses out the fingerprint scanner but, comes with face unlock feature. 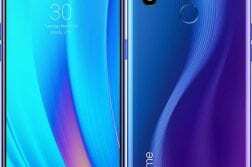 The Samsung Galaxy M20 features a 6.3-inch FHD+ (2340 x 1080p) infinity-V display, it is powered by an Octa-core in-house Exynos 7904 14mm processor with Mali-G71 GPU. It comes in 2 variants – 3GB RAM with 32GB storage and 4GB RAM with 64GB storage with micro SD card support up to 512GB. The phone is running on Android 8.1 Oreo on top of Samsung Experience 9.5 and packs in a massive 5000mAH battery with support for the 15W quick charge via USB Type-C port. Further, the M20 features a similar 13MP(f/1.9)+5MP(f/2.2) dual rear camera set-up with LED flash, an ultra-wide mode which lets you capture more expansive photos. At the front, there is an 8MP camera with f/2.0 aperture. 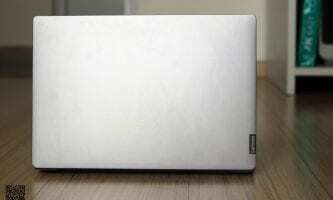 It comes with a rear fingerprint scanner as well as face unlock feature. Also, both these smartphone comes with dual SIM VoLTE support and Widevine L1 certification for seamless streaming of HD content through popular apps like Amazon Prime, Netflix, etc. 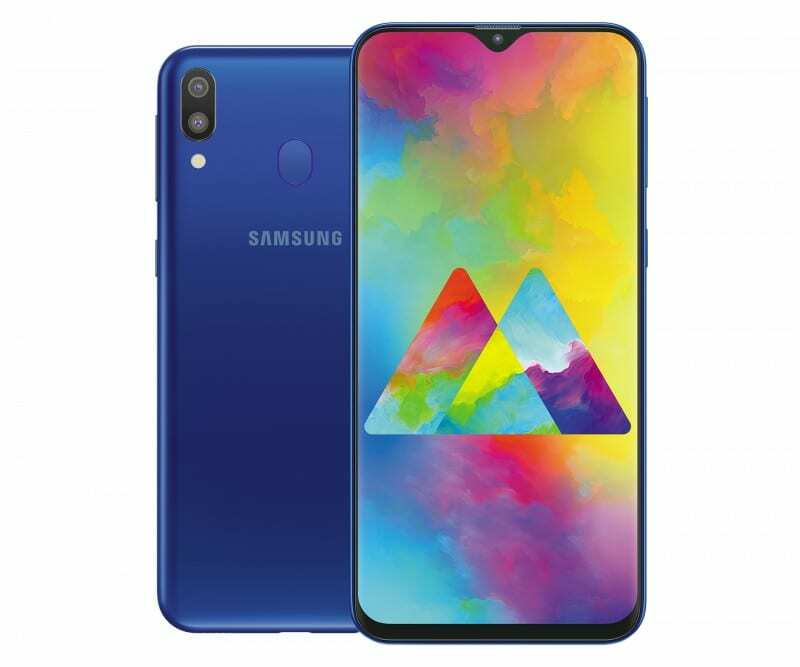 The Samsung Galaxy M10 and Galaxy M20 will be available on Amazon.in and Samsung.com from February 5, 2019, in Ocean Blue and Charcoal Black color options. 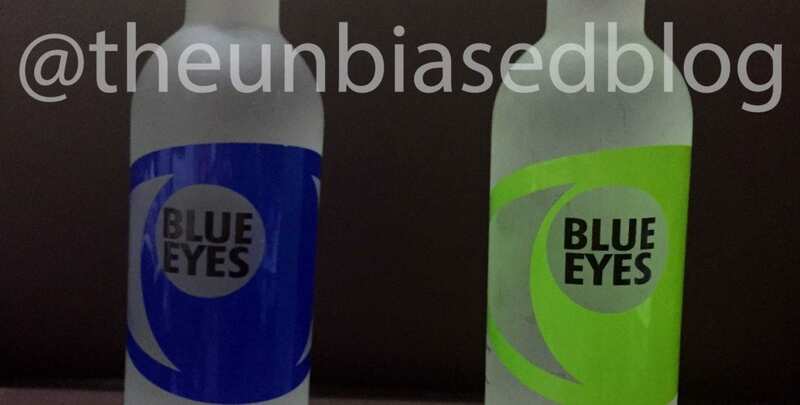 What do you guys think of these new smartphones from Samsung? Drop a comment and let us know, follow us on Twitter for more news and updates.